Since 2009 Medical Alert Advice has helped thousands of people make informed decisions for themselves and the ones they love by providing clear, accurate, and easy to read information about medical alert systems. Since we’ve been reviewing medical alert systems for so many years, we have the experience and knowledge that you can only gain over time. As we enjoy our 10-year anniversary and look back, we’ve seen the medical alert industry evolve from simple push-button pendant systems that required a telephone landline, to the introduction of early fall detection systems, and finally to today’s GPS smart-watch based devices with telehealth technologies and GPS location services built right in. During our first few years, we found that it would be difficult for the average person to get all the facts needed to make an informed decision on such an important service. There was really only one company back in 2009, LifeStation, that had pricing and online ordering right on their website. That meant that they had to have fixed pricing and had to provide quite a bit of transparency. That was refreshing since most other companies required you to call to get information and you had to know what to ask and what the correct answer would be in order know you were being told the truth. Knowing what to ask made all the difference and that’s what made Medical Alert Advice different than other sites, although few, you could have come across. You were almost always dealing with high-pressure commission-based sales people that only had one goal in mind – to sell you a medical alert system. Today, not only have the systems themselves evolved, but so has the sales process. Most companies now provide fixed pricing with online ordering. But with the complexity of today’s systems, it’s actually best to call to be sure you’re getting what you really need. Many phone reps are still commissioned based, but they typically provide good information and can many times give you extras like waive activation fees, provide free lock boxes, and free shipping. 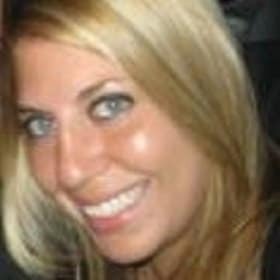 Our content and social media manager, Noelle Greenway, comes with a specialty in health, wellness and senior care industries. She graduated from Florida State University with a degree in Psychology. After helping start-up medical brand DentalPlans.com grow into an industry leader, she branched out with her own freelancing business. Since then, she has helped several health and wellness companies build their brands online such as Queen City Elder Care, Doctor Aromas and The Yoga Sanctuary. Noelle has been a content writer for Medical Alert Advice for over 5 years and has reviewed and researched dozens of medical alert devices. Our content editors are long-time industry veterans from the life safety and electronic security industry. Their experience in the design and support of fire, panic, and burglar alarm systems along with working with in-house and outsourced monitoring centers gives us a unique perspective not had by other sites. So rest assured that we intimately understand what central station receivers are and how they operate, what languages (Contact ID and SIA) your medical alert system “speaks” when communicating to the monitoring center, the difference between fully redundant monitoring centers and back-up only centers, how signals are transmitted from your medical alert device through a cellular network as compared to landline phone service, and so much more. We sincerely hope you find our reviews, product comparisons, and tips helpful, as thousands of others have through the years, and we would love to hear how Medical Alert Advice has helped you in your decision process.